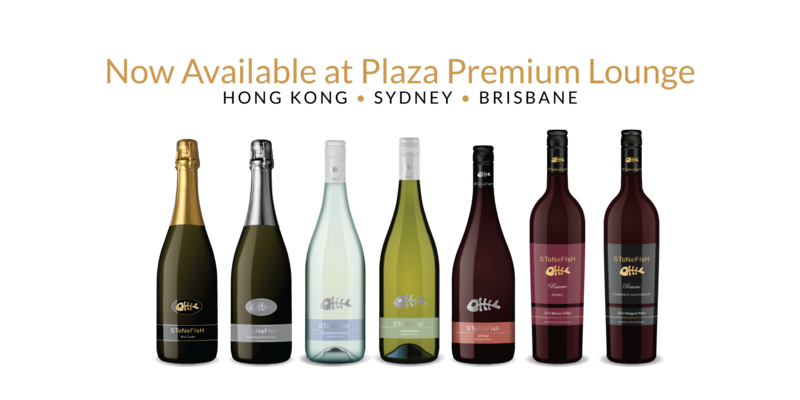 Stonefish Wines, a small boutique Australian wine brand, has just been added to the wine list of the World’s Best Independent Airport Lounge, Plaza Premium Lounge. An impressive eight wines from the Stonefish range are now available by the glass at Hong Kong, Sydney and Brisbane lounges. Stonefish joins a host of some of the world’s best wine brands, including Penfolds and Jacob’s Creek, listed on the group’s menu, making it a significant achievement for the humble, privately-owned label. Wines selected for addition include; Stonefish Sauvignon Blanc, Stonefish Chardonnay, Stonefish Shiraz, Stonefish Brut Cuvée, Stonefish Reserve Shiraz, Stonefish Reserve Cabernet Sauvignon and Stonefish Platinum Chardonnay Pinot Noir. The Plaza Premium Lounge, headquartered in Hong Kong is the world’s largest independent airport lounge network, found in over 140 locations of 35 international airports around the world. Serving over 11 million passengers around the world annually, this announcement will drive a huge amount of international exposure for the Stonefish brand. The collective goal of the lounge network is to ‘enhance your airport experience’ with a dedication to ‘providing quality services and surpassing travelers’ expectation’. This is congruent with the continued goal of Peter Papanikitas, owner of Stonefish Wines, who has always sought to produce wines that consistently impress wine connoisseurs and everyday drinkers alike. Of the selection, Peter commented, “Success is determined by those who prove the impossible is possible”. A big splash indeed for the favourite Aussie wine.